Bitcoin payments provider Paymium has partnered with one of the world’s largest point-of-sale (POS) solution providers to allow European brick-and-mortar retailers to accept the digital currency. Specifically, Paymium has created an app that is being hosted on the Telium Tetra Marketplace, a payment application suite developed by Ingenico Group solely for its POS terminals. 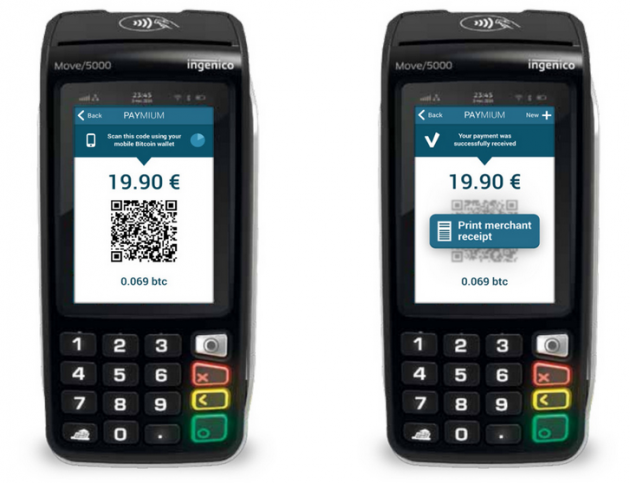 The app allows merchants to accept bitcoin payments and convert them to euros instantly. Ingenico Group has a commercial presence in more than 125 countries through 80 offices and an extensive network of partners. It boasts 22 million POS terminals installed worldwide and an annual revenue of €1.3bn in 2013. Paymium notably partnered with online fashion retailer Showroomprive.com to allow it to accept bitcoin payments back in September. It faces competition in the European market, however. Most significantly, BitPay set up its European HQ in April, in a bid to attract 30,000 merchants in Europe by the end of 2014.